The heavy rain in recent days has caused floods in several areas in central and Eastern Romania, with rivers in two thirds of Romania under flooding risk. Hundreds of houses have been flooded in Brasov, Covasna, Bacau and Botosani counties and hundreds of people have been evicted, according to Mediafax. A code Red for severe flooding is in place for the Trotus river basin, in Harghita, Covasna, Neamt and Bacau counties. A similar code was announced on Saturday morning for a river in Covasna and Brasov counties (Romania map with affected counties in photo gallery below). 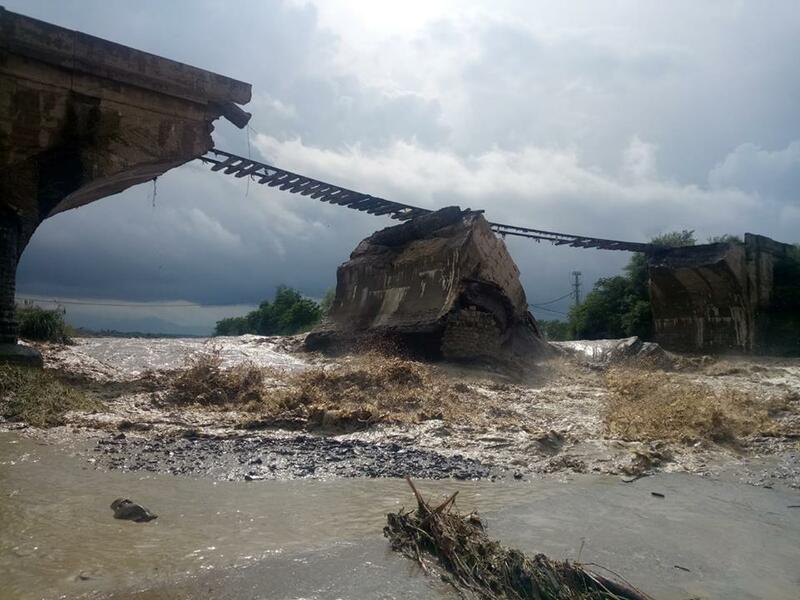 A railway bridge in Budila, Brasov county, has collapsed because of the flooding (pictured below), without causing any victims. The code Red means that the rivers in these areas are likely to pass the danger level and may overflow and flood the houses in their vicinity. 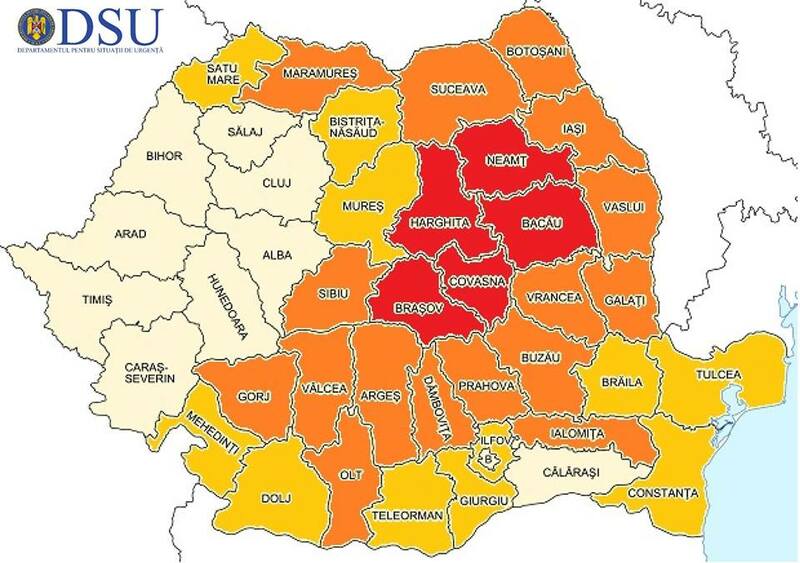 Some nine counties in the Moldova and Eastern Transylvania regions have been under code Orange for heavy rains on Saturday, according to the weather administration ANM. A code Yellow is also in place for almost half of the country, where it has been raining for several days. The Defence Ministry is intervening with troops in the affected areas. Over 500 people were evicted or left their homes. Thousands of families lack electricity in the affected counties, where it continues to rain. Car traffic has been hindered or stopped altogether on some local roads affected by the increasing water level. The new rains come after almost two weeks of severe weather in Romania, which has caused problems in many areas, including the capital Bucharest. However, the rain is expected to stop on Sunday and the weather will get better starting Monday. It was the wettest month of June in the last 40 years in Romania, according to the weather administration ANM, with over 140 liters per square meter.